When I woke up today, I knew it would be a crazy day. In fact, the madness started yesterday so there were no surprises today. Last week I offered my friend AP to help her move. She didn’t have much stuff and we thought that it could be easily done with a few trips in my small Citroën. Well, that was a bit naive. First, we had decided to move a few pieces on Saturday evening so that it would be even easier on Sunday. When I arrived at her place around 16:00 I was a bit less optimistic! Let’s just say that things were not as packed as I had thought they would be 😉 But that was not totally unexpected. What I did not expect though was that the lift would break down the day before the move. Thankfully, it was only partially broken and we only had one floor to go through the stairs. What was really unexpected (and annoying) was that my car wouldn’t start! Now, this is Saturday around 18:00. But AP stayed totally cool. We decided to rent a small van, but first we needed food and had dinner in a nice restaurant in Vasastan. After dinner we went back to AP’s place and decided to book the van and move a few bags so that she could sleep in her new flat that night. We were a bit disappointed that we did not accomplish more on Saturday but remained confident that everything would go well on Sunday. We had rented the van on Birger Jarlsgatan from 12:30 to 16:30. For some reasons I knew it would be a much longer day so I decided to leave a bit early and stop for coffee. 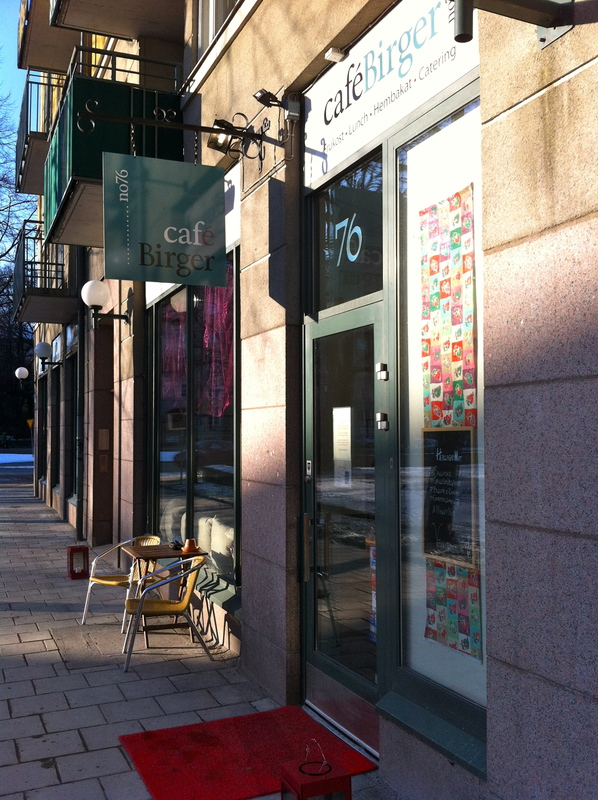 I didn’t really know where I would go but by the time I got to Birger Jarlsgatan I saw a nice little sign inviting me to Café Birger no 76! That was exactly what I needed this morning! While Café Birger no 76 is technically on Birger Jarlsgatan, it is in fact on a small street perpendicular to Birger Jarlsgatan. It is right in front of a small park and it seems to be just as calm in the park as inside Café Birger. A very nice woman welcomed me with a big smile when I opened the door. I ordered a cappuccino and a sandwich but this time I did not fool anyone. The woman replied in English 😉 I decided not the get upset at this little failure and enjoy the coffee and sandwich. 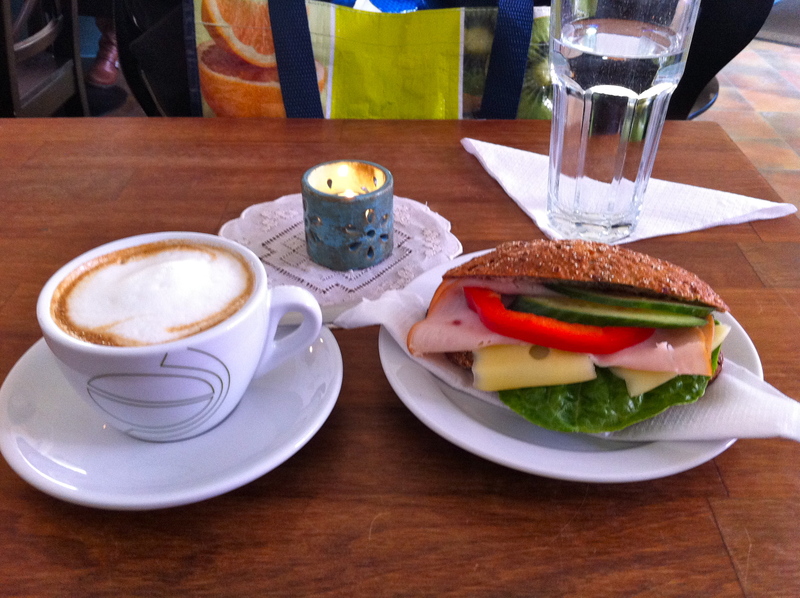 I am still not totally adjusted to the Swedish sandwich for breakfast but I have to say that this one was very tasty. I really enjoyed the multigrain bread. 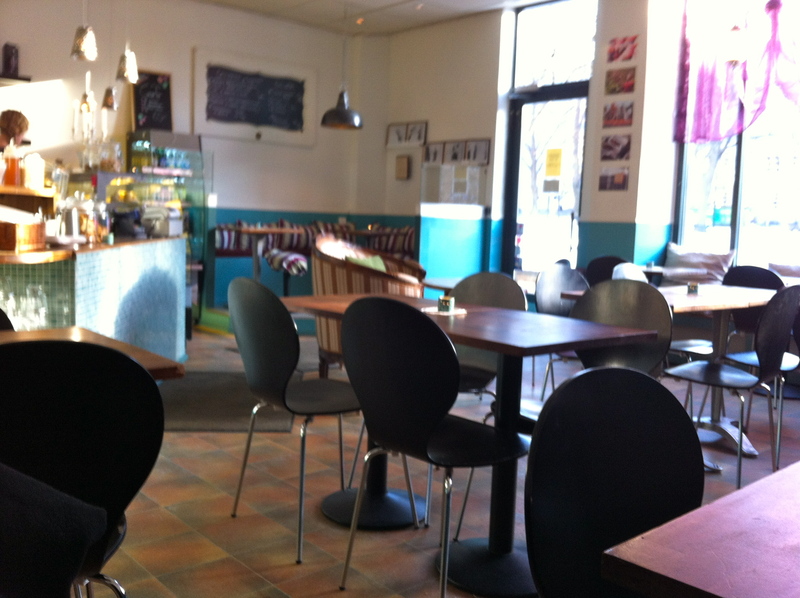 Café Birger is not a small café and this morning only tables by the wall were taken. In the corner on my left were two girls who showed no intentions of leaving this oasis of calm anytime soon. Two other tables were occupied by older people on my right. 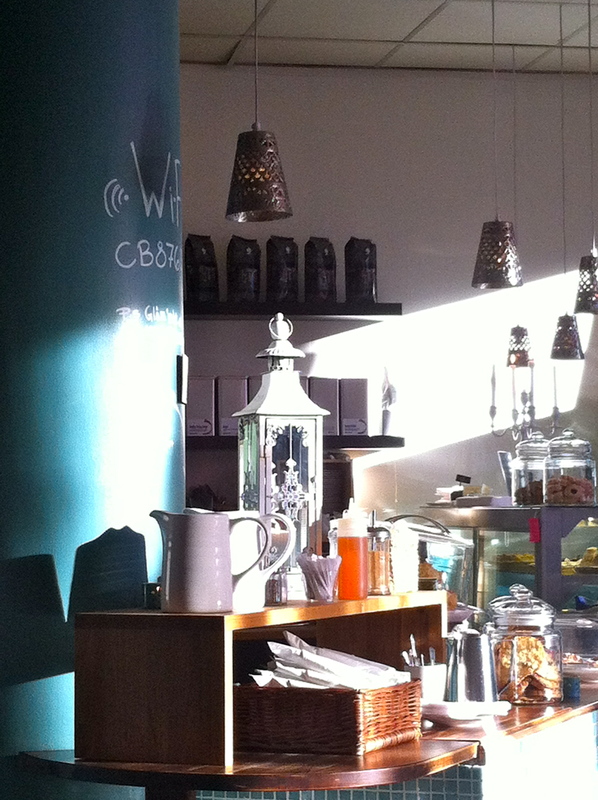 Café Birger has a perfect location to let the winter sun come in and warm up the customers. Café Birger also offers free wifi and you don’t really have to beg for the password… it’s right there on the wall! I hope AP will sleep well in her new flat tonight! I’m pretty sure she will be happy there. This entry was posted in Breakfast, Coffee, Friends, wifi. Bookmark the permalink.